The packaging shown opposite, has a container (tub with lid) for a fresh fruit snack. It has a lid that seals the contents in keeping them fresh. The card packaging below it contains a free gift of fruit and vegetable seeds. 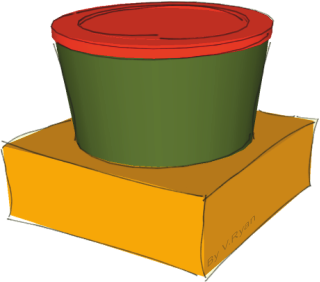 It has been decided that the mullti-coloured range, will also have an image on the lid, for decoration and to encourage healthy eating. The moodboard below has been composed by a focus group. 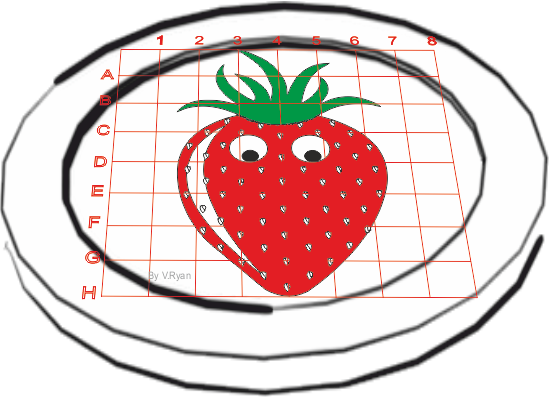 Using the moodboard as a starting point, design a suitable image to encourage young children to eat healthy and to plant the seeds, growing their own fruit and vegetables. 1. 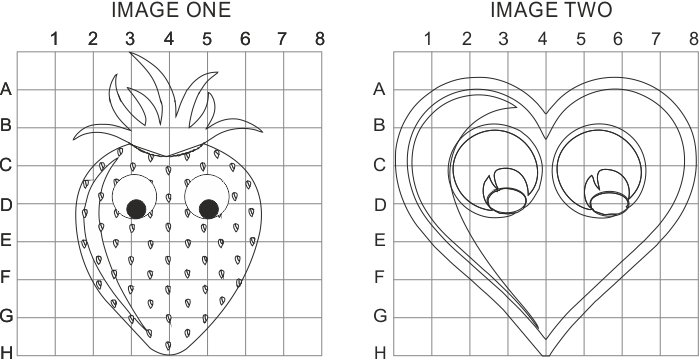 Draw two possible images, as outline sketches, in the grids below. 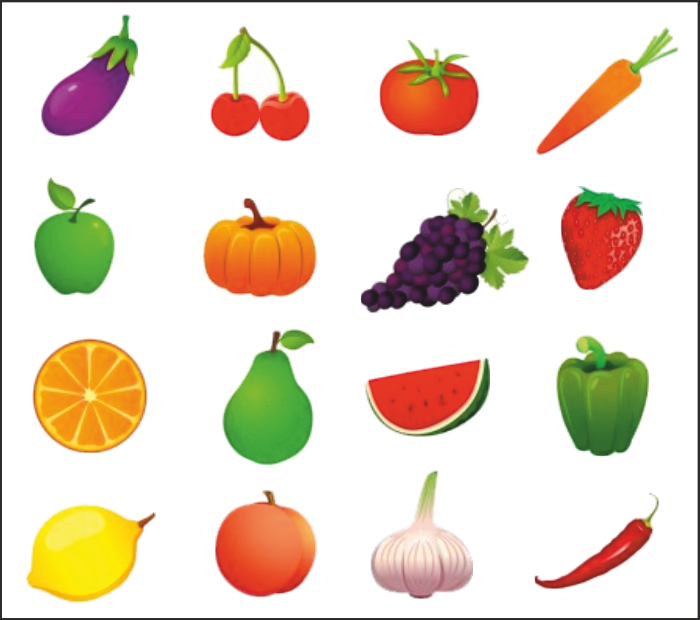 Remember, the images should encourage children to eat healthily and to plant fruit and vegetable seeds. Select the image you consider to be the most likely to encourage children to eat healthily and to plant fruit and vegetable seeds.. 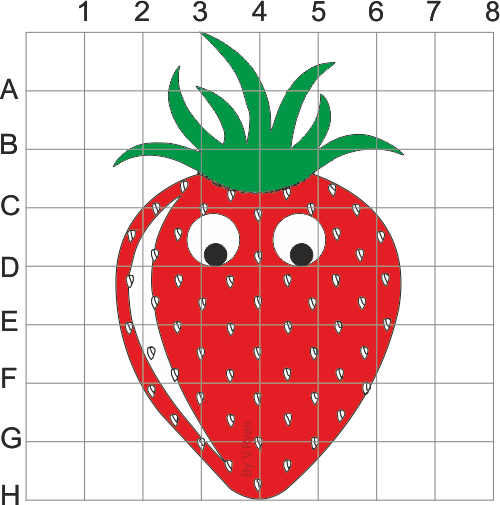 Draw it as an enlarged, colour rendered final image in the grid below. Transfer your design to the 3D grid, seen below.